That's cool. The issue is the same that i had with my first tree model. 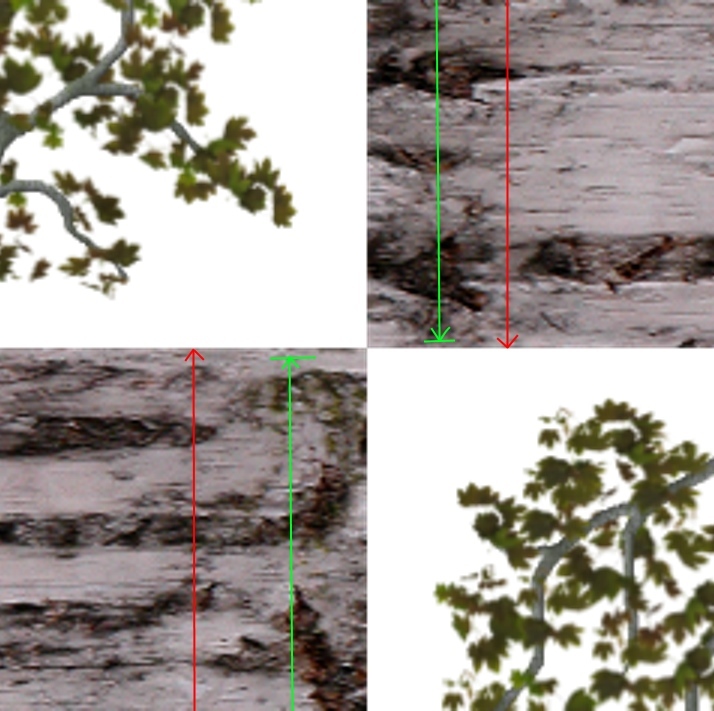 In the ~middle of the trunk, there's a point where the texture "flips", i.e. it goes from the roots to that point and then continues up to the branches in a mirrored way. That's all fine and looks good, but at that particular point, the bilinear filter blends the trunk with the first line of the upper half of the texture, which is transparent (because it contains the leafs). And because the whole tree is rendered transparent (you don't see this, but it is), there's a transparent line at this point especially on mobile devices and when using mip maps. The solution is to change the uv mapping of that part to leave out a few upper lines of the lower half of the texture, so that it doesn't bleed into the transparent part. Oh, there is something wrong with import, model completely lost UVs. Could you save it in another format? That's caused by my stupidity! I bundled the right texture with the wrong model. I've reuploaded the zip, it should be fine now. Is it better? I could not replicate the problem. 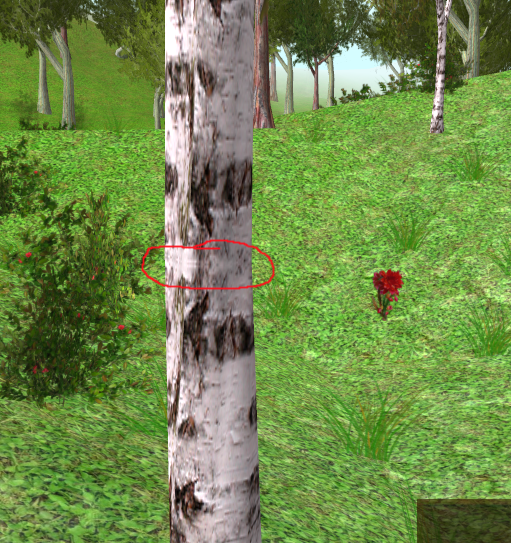 At the moment, the mapping starts with the bottom of the trunk mapped with the bottom of the texture and then it goes up like the red arrow to the left shows. Then it flips to the right side (mapping wise) and maps from the top of the tree down to the end of the red arrow. Where they both meet, the problem occurs. Simply because the bilinear filter starts to blend in parts of the upper half of the texture, which is transparent (or white in this case). My idea was to "simply" limit the u/v coords so that they don't go all the way up (or down) like the red arrow does but do it like the green arrow shows. There won't be a seam that way and no accidental blending with the upper half either. So, if I understood it correctly, it should be fine now. Looks fine now except for a tiny artifact in the smallest mipmap stages. But i think that i can fix this in my mipmap generation code. Thanks for your help! No, there won't be character classes. You'll have a skill tree and some basic character attributes like strength and dexterity and things like that. Every character can learn every skill (as long as he/she has enough skill points, of course). I'm still undecided about the attributes though. I might base them on the player's answers to some questions at the beginning like the old Elder Scrolls games do it or let the player distribute them directly or maybe a mix of both...we'll see. The door is floaty, because it doesn't touch the ground. The fence isn't floaty. 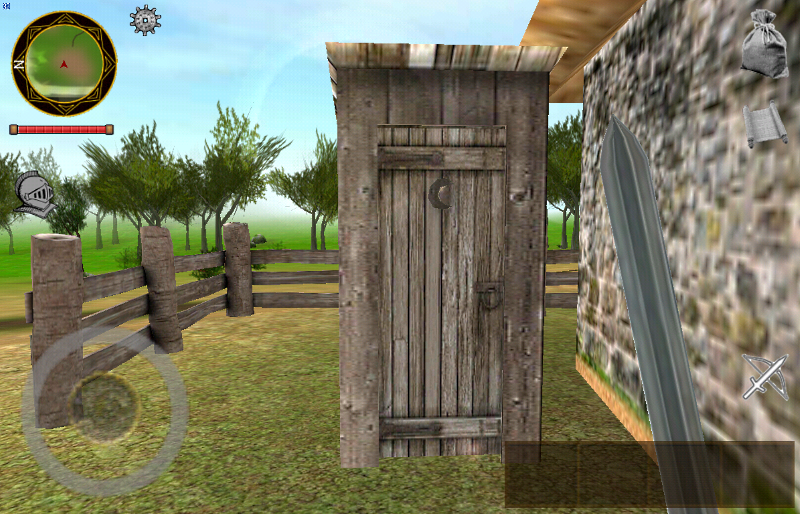 I see what you mean, but that's just how it looks without shadows and SSAO. It looks better in motion. 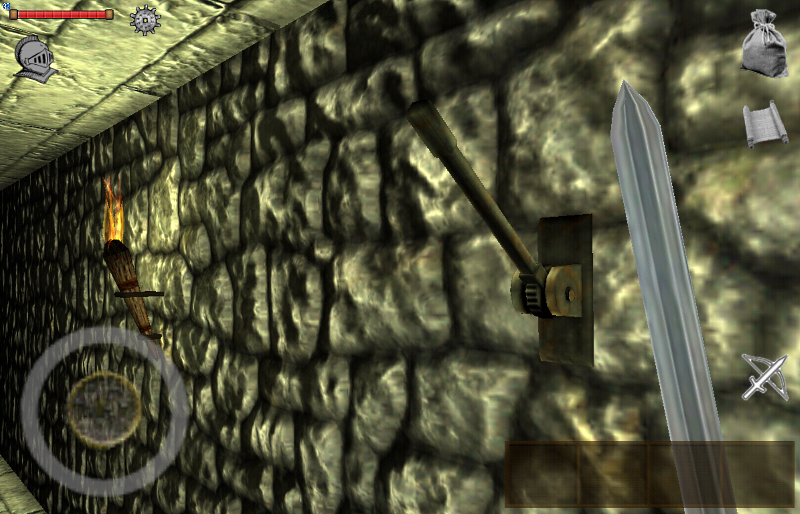 Added levers to the dungeons to close/open doors. Actually, i hadn't planned for this, but it will add some variation, i guess. Is it something like is in my game (linear) or just up/down? You could also add some traps. Just up and down...it opens doors, which are either open or closed. Traps...well, i don't think so. The focus isn't too much on making the dungeon crawling feeling like old school. 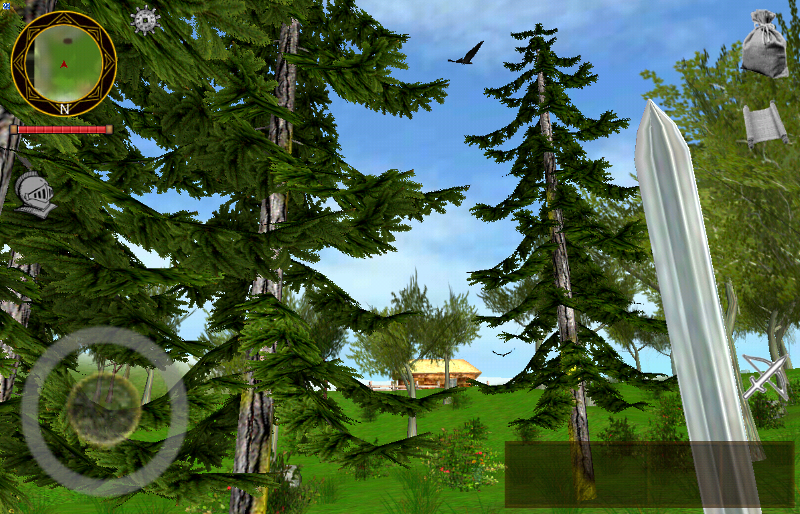 The first version of the main quest is complete now as far as dialogs and quests are concerned. It's still missing all the dungeons that it will finally include but you can play through it already with a lot of "fake" dungeons (i.e. very small ones that only contain the quests items in a chest). The game now includes 42 NPCs with dialog still missing for <10 of them. After that dialog and the side-quests have been added, i have to go into the ground and build the actual dungeons...but for today, i've added pine trees. The are using a custom shader with stippled alpha instead of full alpha blending and slightly modified animations.